AKIPRESS.COM - Tajikistan is planning to bring children born into the ISIS, the country's ambassador to Iraq and Kuwait, Zubaidullo Zubaidzoda, told RFE/RL. 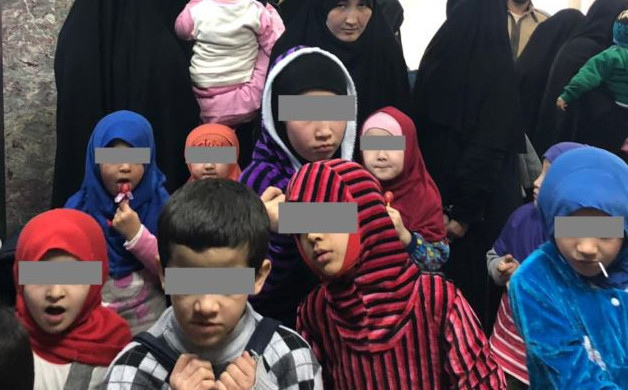 Tajikistan is soon expected to send a plane to Baghdad to repatriate 75 children whose Tajik mothers are imprisoned in Iraq under charges of belonging to IS. Zubaidzoda, who's been tasked with negotiating the repatriation of Tajik citizens from Iraq and Syria, told RFE/RL on March 6 that he has obtained the required permission from the children's mothers to return them to Tajikistan. All in all there are 43 Tajik mothers serving time in Iraq, with 92 children between them, Tajik authorities say. Zubaidzoda said 17 Tajik children will remain for now in Iraqi prisons because their mothers did not grant their permission for them to be repatriated. Among the reasons given were that there were no relatives in Tajikistan willing to look after their children, according to the official. Others said their children were too young. And others, he said, refused to allow their children to be raised in Tajikistan because it was not "Islamic." The ambassador said Dushanbe would not give up on its efforts to bring home "all Tajik children" from Iraq, but didn't give further details. He is working separately to secure the return of some 50 Tajik women and children who are being held in refugee camps in northeastern Syria.